Although this is not a new item to the scene, it deserves a posting and can help to appease my so far underrepresented female readers. Made by icon designer, Alexander McQueen, the faithful glove clutch is a must have for any girl who depends on her go to clutch to dress up any outfit. 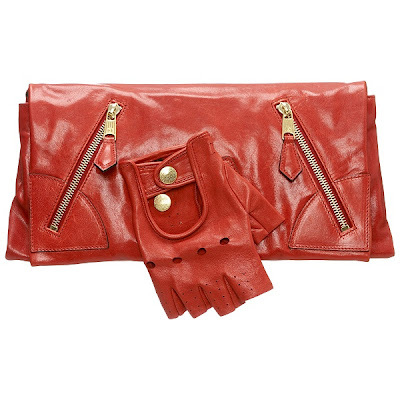 The glove, while stylish in itself, also mocks the idea of the clutch bag in general. The best part is, when the novelty of the glove disappears down the road, it is detachable, still leaving you with a still beautiful McQueen bag of the highest quality. The bag sells for $995 USD at McQueen stores and retailers as well as online.